If a user has been deactivated but then subsequently needs to regain access to their site then you can reinstate the user by reactivating their account. 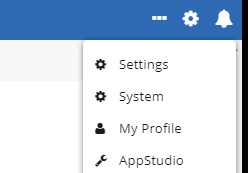 Select the Users folder in the left pane menu and then in the feature menu '...' select Show Deactivated to view all the deactivated users on the site. In the Profile feature menu, you will have the option to click on Reactivate User. It will open up a window asking you to confirm that you would like to reactivate the user. Once you have clicked to confirm the reactivation of the user, their account will be active again and the user will be able to log in. To view active Users again, click on the User features menu on the screen showing the list of Users and select Show Activated. Note: Once the USer has been reactivated it will also require that you trigger a re-verification email to their account for the user to confirm and gain access. You can also perform this task as a bulk operation to reactivate multiple users at once. To do this select the Users that you would like to reactivate by checking the small box to the left of their name in the list of deactivated Users. Via the User features menu select the option Reactivate. This will then ask you to confirm if you would like to reactivate the Users that you have selected. Note: To reactivate a User requires the User to know their password for the account. If they do not know this then please email support@softools.net for further assistance.